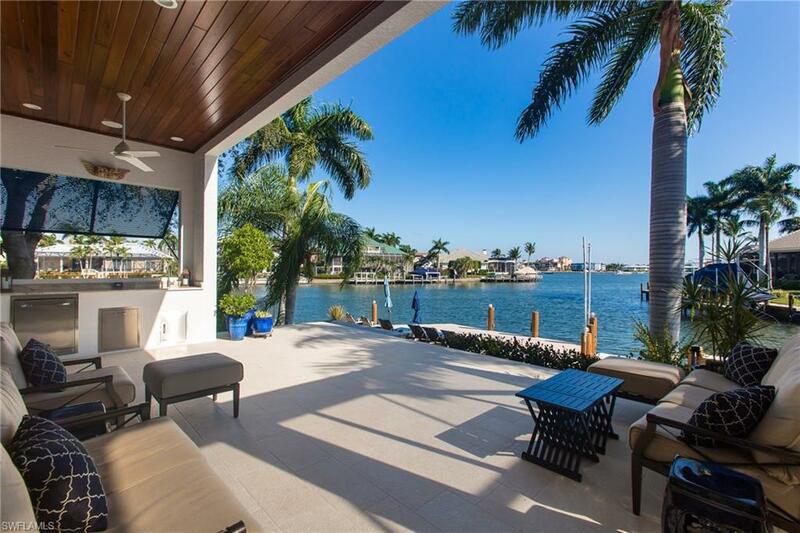 This home has perfect SE Exposure overlooking the tranquil waters of Smokehouse bay, enjoy the pure entertainment of the yacht and boat traffic idling by as they cruise out and back to their home. This site features 150 feet of straight seawall for docking multiple boats or a large yacht, having a turn around basin just off the property. This fully renovated home has gone through a wonderful transition and addition by Tom Christian. The 2 story addition and extended lanai with summer kitchen offers a screen free area for sunning and a retractable overhead screen for easy access to the pool and spa. 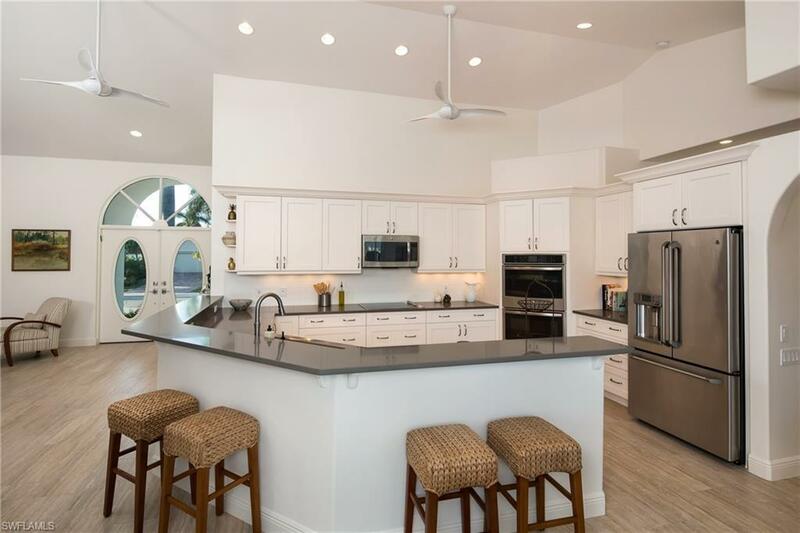 The renovated kitchen offers quartz counters, new appliances and the plank tile floors through out the main floor are simply beautiful! A gorgeous wood floor staircase matches the upstairs family room with a pop up big screen tv. The 2 bedrooms up both have their own bathrooms and fantastic views from the second floor balcony. The showers have beautiful tile and accent stripes and full glass walls. The largest of the rooms, the Grand Room, on the main floor has several sliders that open to the lanais. 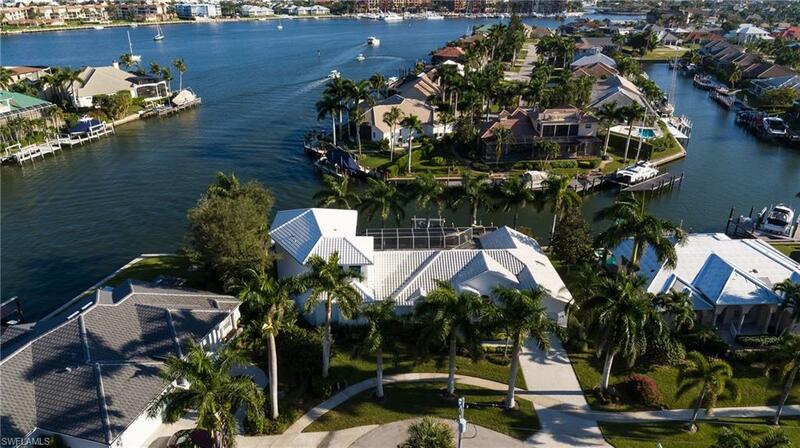 This property is in an excellent location near Tiger Tail, and great boating access.